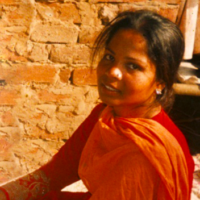 Prominent British Muslim voices, including three Imams, have led new calls for the UK to offer asylum to Asia Bibi, a Pakistani Christian woman recently acquitted of blasphemy in Pakistan. Signatories to the letter include Imam Qari Asim, Imam Mamadou Bocoum and Imam Dr Usama Hasan, as well as representatives from the Association of British Muslims, New Horizons in British Islam, Faith Matters, Muslim Council of Wales and Open My Mosque. Cross-party MPs Stephen Crabb, Liam Byrne, Ed Davey and Nigel Dodds have also signed the letter (full text + signatories below). Asia Bibi’s life is in danger in Pakistan, where violent mobs are calling for her execution following her acquittal by the Supreme Court in a blasphemy trial. Britain’s commitment to freedom of religious expression is one of our most important values. This is especially valued by minority faiths in our society. Its foundation is respect for the beliefs of others, of all faiths and none. This country has a long tradition of offering protection, stretching back to the Huguenots. We should seek to act in this case too. It is essential that there is strong international pressure to ensure the Pakistani government allows Ms Bibi to leave for a place of safety if she wishes to do so. We call on you to make a clear and proactive statement, that Britain would welcome a request for sanctuary here. Many other governments may wish to make a similar offer: we wish to see our government step up and show leadership. We are confident that action to ensure Asia Bibi and her family are safe would be very widely welcomed by most people in Britain, across every faith in our society. If there are intolerant fringe voices who would object, they must be robustly challenged, not indulged. The real threat to good community relationships in Britain would arise from a failure to stand for and act upon the values we should all share. Akeela Ahmed, Founder, She Speaks We Hear.